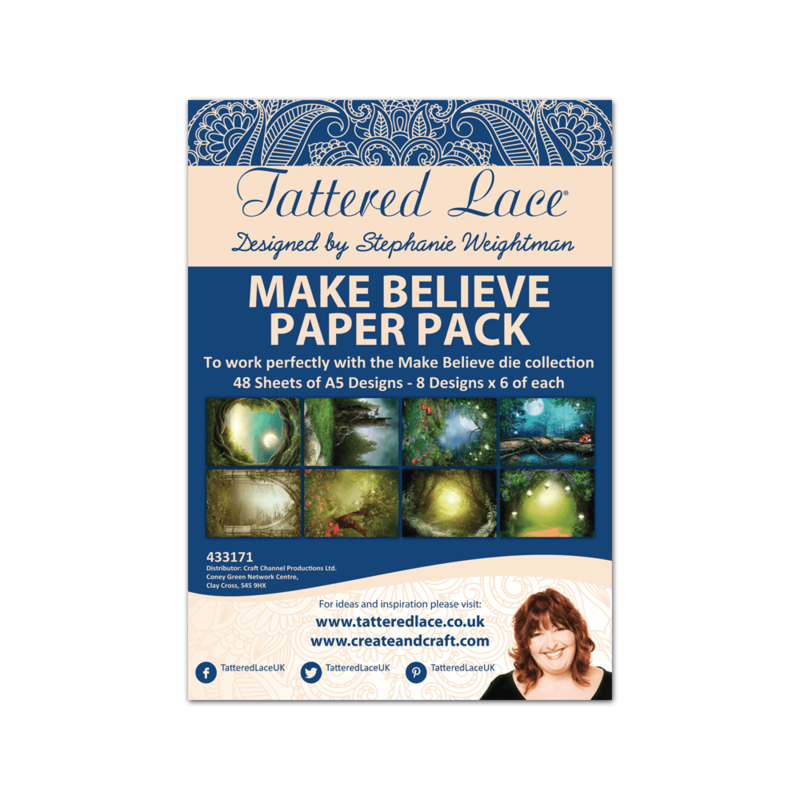 Designed for use alongside the Tattered Lace Blissful Paradise dies, this stunning ‘Make Believe’ Backing Paper Pad allows you to build enchanting scenes for cards, scrapbooks and more. This 48-sheet pad features eight different designs in total, meaning you’ll get six copies of each one. The designs include an archway, a moonlit scene with glowing butterflies, and an enchanted forest. Each sheet is A5 with a high-quality 250gsm, providing you with a sturdy base to build your scenes on.